Quick Travel Essentials for the Weekend Getaway Beautie! 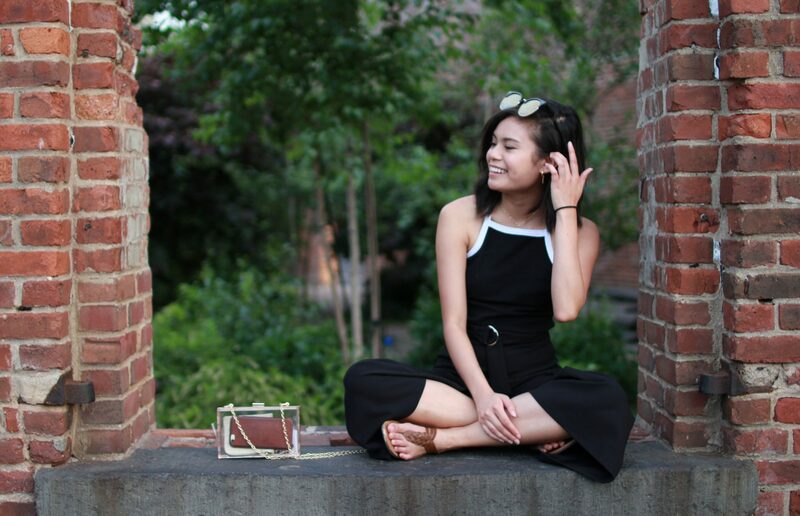 Today’s post is a quickie — (woohoo, the photos say it all) I’m actually about to head out with some family and family friends to a short weekend beach trip. 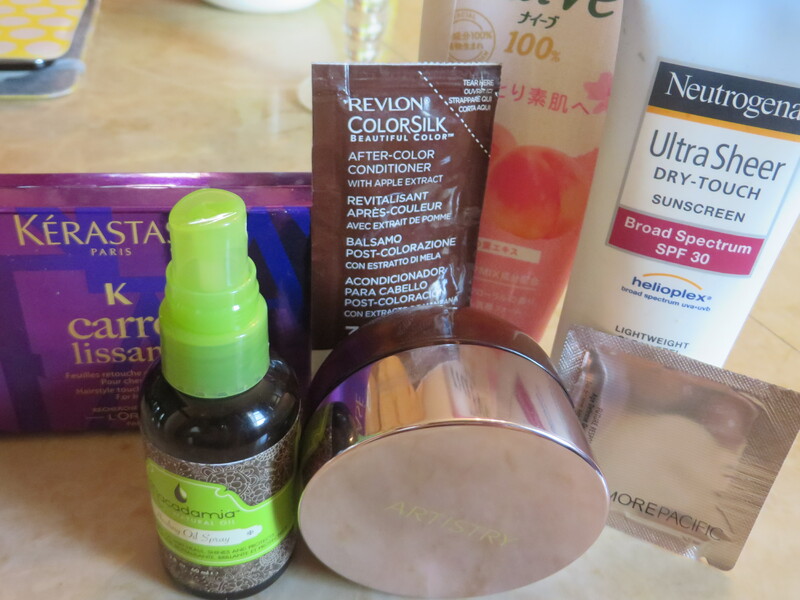 But twenty minutes before I’m scheduled to leave, I wanted to share with you guys a few of my beauty travel favorites. For hair, there’s three things that I can’t be without if I’m sleeping over somewhere. I rarely ever bring heating tools with me on trips, especially short trips such as this one, so I’m going to have to deal with sporting my thick, tangled waves that I usually fail to embrace. Listen, I’m not one of those beauty babes with naturally manageable hair after I come out of the pool! I often compare my mane to a lion’s mane. 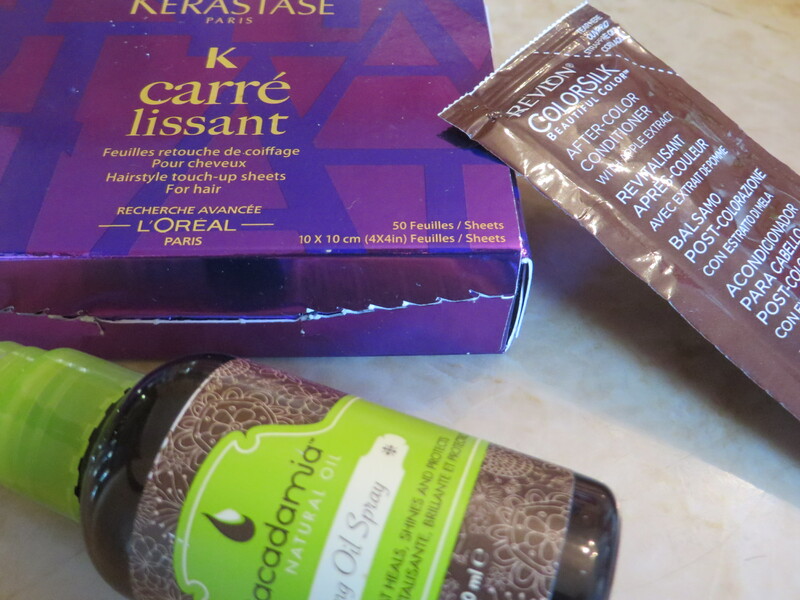 So I’m going to be needing some products to tame that frizz down! I have my Kerastase frizz sheets and my Macadamia Oil Spray. The frizz sheets are great for on-the-go. You just throw them in your purse, and if you start seeing a flyaway storm about to break out, then you slip out a sheet and rub it down on your hair. 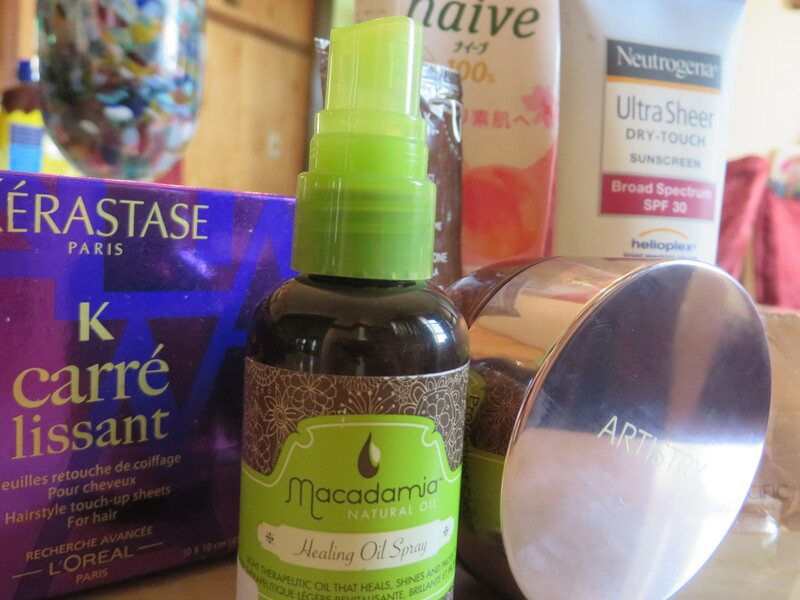 The Macadamia Oil Spray is great because it restores not only shine but moisture (yes, something that actually helps it rather than make it just look good). It has a weird scent to it, but hey, it’s a lifesaver for those with severely dry hair. As you can see, I’ve also packed a small packet of some color-protecting conditioner. I like to keep the bag of essentials small, so this packet that I’ve saved for trips such as this one is perfect for just throwing in my bag. I’m not sure about you guys, but when I’m out and about on a relaxing trip, one of the last things I want to do is keep up with my skincare routine. 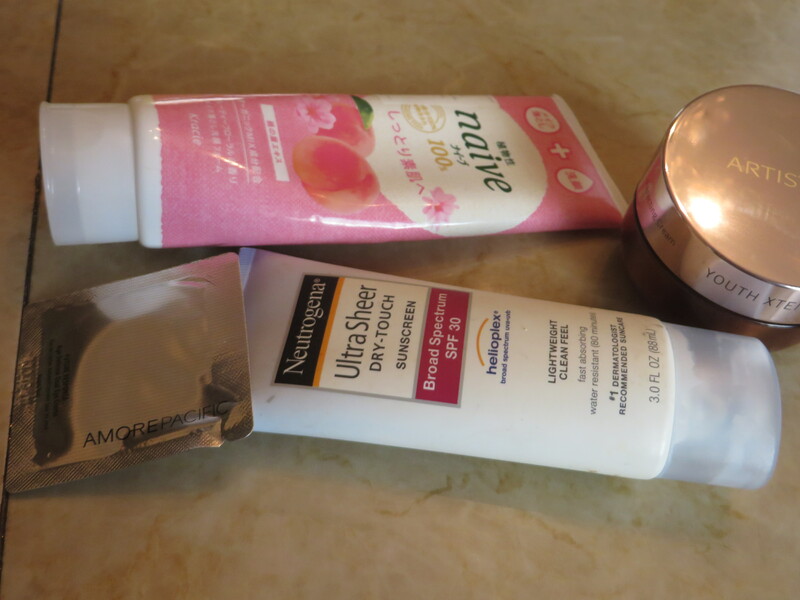 So I just packed my face wash that cleans off 90% of my makeup, one of my favorite night creams, a packet of eye cream, and my favorite Neutrogena moisturizer with SPF of 30! That’s all folks! I’m getting rushed at the moment, haha but I wanted to write this post so bad!